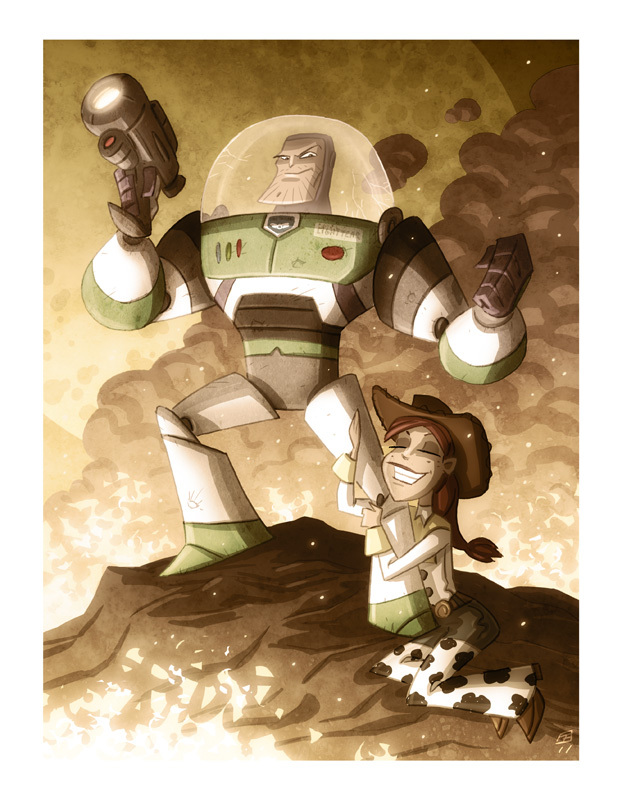 Looks like Buzz has gotten his "bad *ss" space cred back. To infinity- and beyond! Very dynamic, with some great textures in this piece!